Today, Google is officially shutting down Inbox, its alternative email app to the company's main Gmail app. 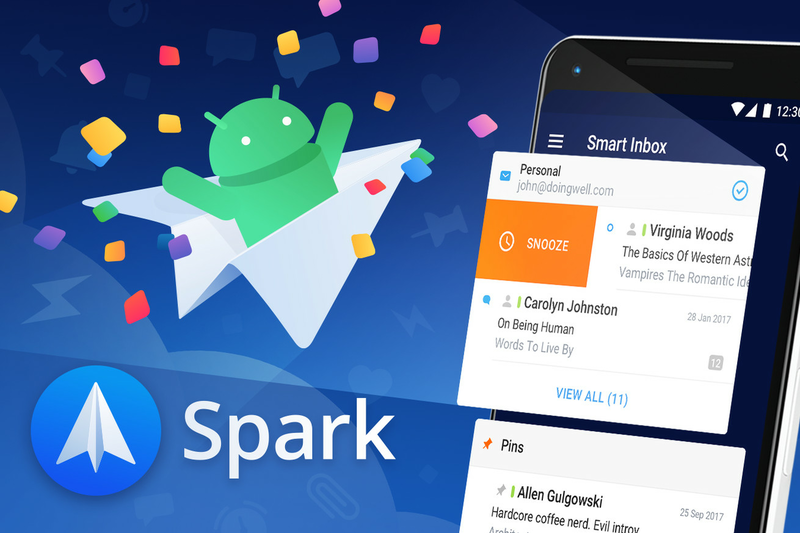 But as one email app dies, another is reborn, with popular email app Spark finally making the jump from Apple's platforms to Android — just in time for all the former Inbox users looking for a new app. I've had the chance to try out a beta version of Spark for Android, and I'm pleased to report that it's just as good as the original iOS version (which is already one of the best email apps for iOS around.) It's fast and responsive, especially for searching the thousands of archived emails I've got kicking around my account, and offers all the customization features that Spark is known for: letting users tweak what menu icons they'll see when viewing an email, notification options, and a quick access widget that offers shortcuts to things like starred emails or your sent folder. My one complaint is specific to the Android version of Spark — due to Android app conventions, actions like delete or archive are located at the top of the display instead of the bottom. It's a bit awkward to have to shift attention back to the top after scrolling through an email to take action on it, but Spark is following Android app conventions here, so I can't complain too much. The app itself is still a lot to take in, with lots of options and settings to decide between, and more casual users may still prefer something like Google's stock Gmail app (which will still be first in line for new features and updates from Google itself). But there's a lot to like about Spark, especially if you're the kind of user who likes to tweak things around to optimize their personal workflow. Spark for Android is available today for Android devices.